Rhodochrosite tear drop earrings set in sterling silver. 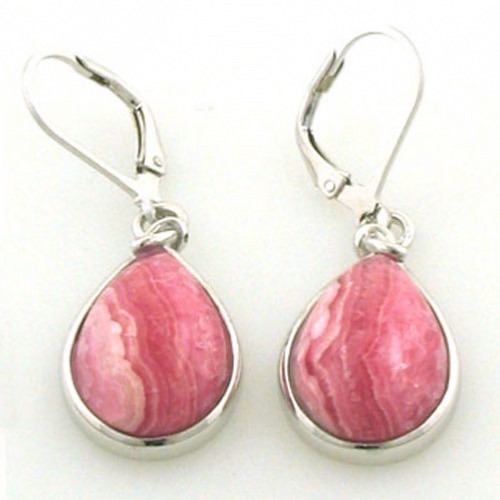 These rhodochrosite earrings feature gorgeous, top quality rhodochrosite gemstones. 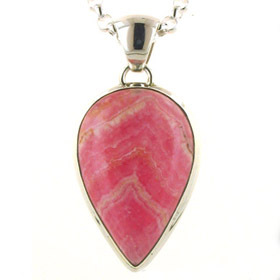 Rhodochrosite is a dusky pink colour with banding and rosette designs in the stone which introduce different shades of pink and cream. 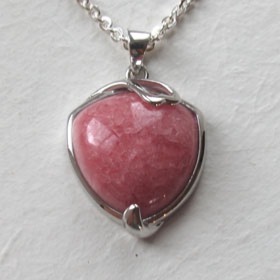 It is an opaque gemstone with a vitreous appearance. Set into solid sterling silver and with open work silver on the back, these beautiful earrings are a work of art. 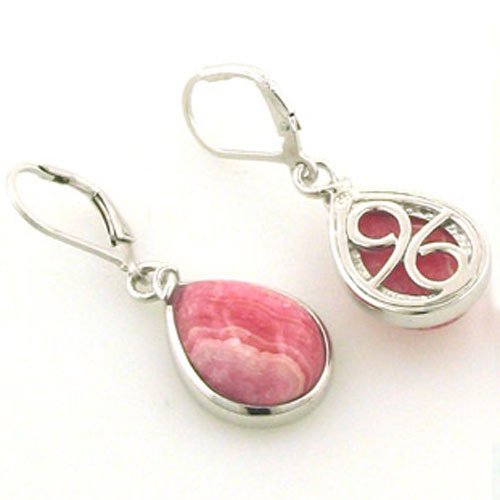 The earrings fix in the ear with a leverback fastener. 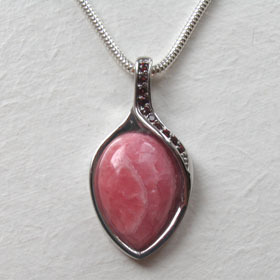 Team up with our rhodochrosite pendants.